Bodloni collects vegetables from local growers, even those which might be thrown away or composted, simply because they are ‘wonky’. Working with a respected local chef, Bodloni have created delicious, nutritious ‘instant’ soups – for people to enjoy wherever, and whenever they need good-quality food. The soup recipes are made from all-natural foods, created by drying them with solar-powered dehydration. By using a Welsh name and including Welsh language in their promotional materials Bodloni feel they are also promoting the culture of Wales. The people who buy the soup can also become owners of the business, and make their own contribution. Bodloni have established a small-scale production facility in a manufacturing area, where they share values, aims and goals with a wide range of artisan producers. Their ambition is to help people to feel connected to their food supply and to embrace food values which really care about their health, well-being and the planet. To date they have sold relatively small amounts of product, but the feedback has been very positive, and their aim is to develop a concept and process that can be embraced by local communities and social enterprises. Initially working with North Wales Police (NWP) and the Office of the Police and Crime Commissioner (OPCC) SSC developed a Social Value Policy driven by the Commissioners priorities. The Commissioners vision is to “lead and work with the North Wales Public sector in embracing social value. He says, “It is about building an enhanced and strengthened local economy, creating economic growth, jobs and opportunities for local people”. To date the project has enabled them to identify contractors and sub-contractors who are contributing directly to the local economy through employment and supply chain opportunities. Which enables them to identify examples of good practice as well as being able to benchmark their success. 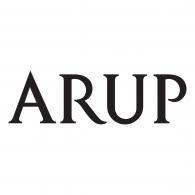 The project has also helped to establish a tender and procurement processes that clearly demonstrate the social value that the winning bidder has agreed to deliver which become a KPI of the project. Through Social Value we will deliver Social Reform. 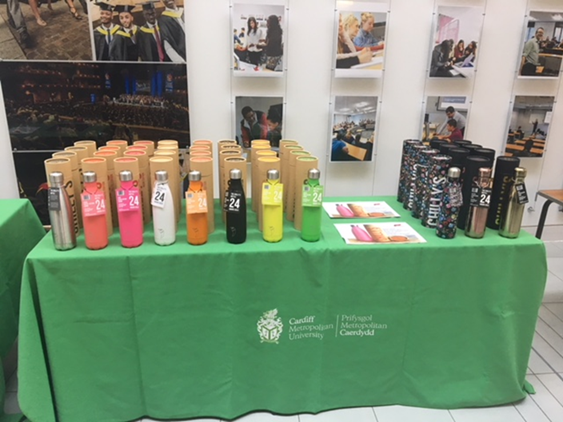 During a Green event in Feb 2018, Cardiff Metropolitan University invited it’s staff and students to put forward their Sustainability ideas via a ‘Campus Pledge Tree’. The number one suggestion was to reduce single- use plastic. The Catering outlets were identified as the highest use areas of single use plastic; bottled water / soft drinks and single-use takeaway food containers. Market research led to a collaboration with Hydrachill and Chilly’s Bottles, and the development of an alternative approach to plastic containers; 17water coolers were installed on campus, along with discounted re-usable bottles available for purchase on site. Since the implementation (April 2018) over 1250 bottles have been sold, and we’ve surpassed 2 million free water vends via the water coolers. This is a 7.95% reduction in our waste recycling figures (equating to 7940kg of plastic). The success of involving students and staff throughout the process led to the development of a similar trial with the implementation of single-use coffee cup collections (previously going to landfill), as well as a new Eco-Food box range, sold via the Catering outlets to encourage reuse of food containers and further behaviour change.